Moxie and I went out for dinner with friends and after perusing the menu I decided on this wine. I was going to order Venison, my mate was getting a braised and roasted Beef rib. We needed a somewhat tannic and juicy wine to pair with these two meaty dishes. The wine was spot on. The precise blackberry on the nose and palate was delicious. I later got a slice of blueberry pie and some vanilla bean on the finish. The tannins are what impressed me the most. Crisp and linear but not over the top. The dryness was perfect and the mouthfeel was exactly what we needed to cut the fat of the beef yet not too dry for the venison. The wine was definitely old world and not overly fruity which worked to our benefit. The acidity was excellent and the overall balance was great. I love it when a plan works out! We paid around $56 at the restaurant but I believe it can be had for about $22, a veritable steal. 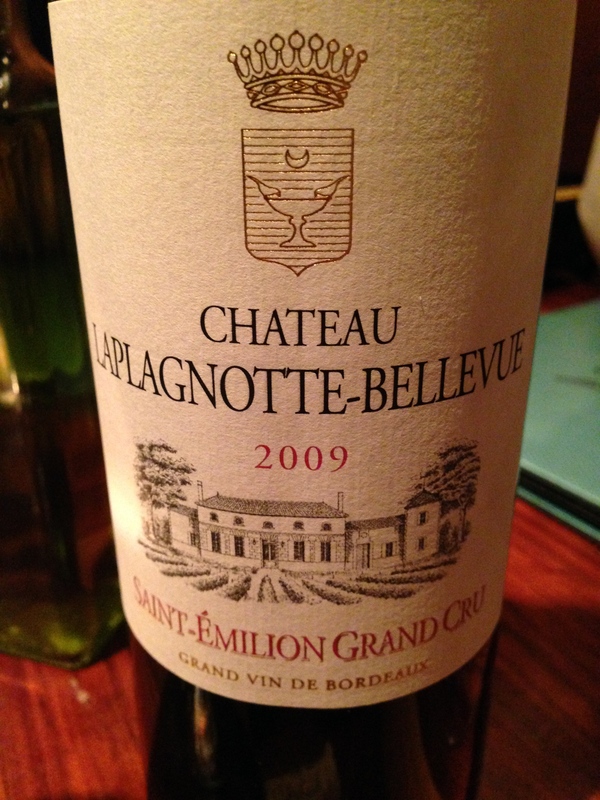 90 points and 5 stars from me for this Merlot based St. Emilion. Salut….